It owes its official allegiance to Jackson, but it is north toward Memphis that the Delta looks. It is Memphis where the Delta Blues were “hearsed and rehearsed” giving the country a new style of music unlike anything else in the world. And it is to Memphis, first, where the Delta poor escape, trading the hot dusty fields for the steamy city asphalt. But the Blues came straight from the dusty fields and the Saturday night juke-joints of the Delta, and it was in the small town of Tutwiler where W.C. Handy, known as the originator of the unique ballad form, first heard this haunting music. 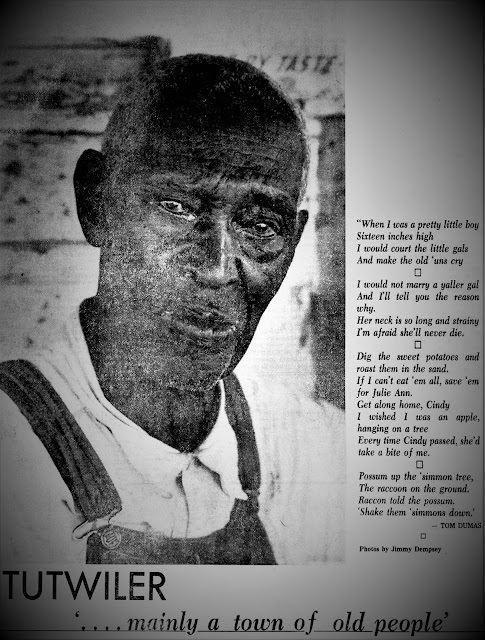 In his book The Father of the Blues, Handy says: "One night at Tutwiler, as I nodded in the railroad station while waiting for a train that had been delayed nine hours, life suddenly took me by the shoulders and wakened me with a start. THAT IS ONE of two reasons for the visit to Tutwiler. 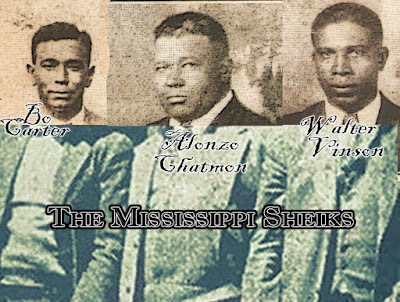 There is a footnote to Handy's Tutwiler experience in a Mississippi historical brochure of a decade ago, and it shows a picture of man named Lee Kizart, called "a current Blues singer in Tutwiler." I wanted to talk to Kizart about the Blues. And secondly, after living in Mississippi for eight years, it was time to test my toes in the Delta. There is just too much sung and written about it. One has to see for himself what all the commotion is about. When visiting Jerry Clower in Yazoo City, he stopped his Cadillac at the top of a modest hill and pointed north. That is the Delta, and this is the last hill for...awhile." It is said that no two hills are exactly alike, but every-where on earth plains are one and the same. Texas and Oklahoma are no different from the Pampas in South America. Flat land is flat land. But that is not true of the Delta. It has that sameness, true, but it also has an infinite variety if one looks close enough. The Delta is a great field of green plants — cotton and soybean — with dirt roads straight as plumb lines running at perpendicular angles off Highway 49, through the fields. The monotony of all that flatness is broken by deserted brown-shingled tenant houses, sitting in the middle of the fields. They once housed share-croppers who have long since fled to the cities. It has been many years now that the weary backs gave way to the bright new machines — startling green cotton pickers that can swallow eight rows of cotton at a time, moving down the rows faster than 50 field hands. Even in the face of this rich land that changes with every season, yet over the decades remains itself un-changed, you see how the things on the land change, how the people change. They move, and die, and go to jail, and run off to the big cities and. ever so often, some may even come back home. But for the main part. the shacks and the people who once lived in them "are not like to ever see each other again." AS STRANGE AS it seems, driving across the lower reaches of the Delta was like coming home, and I had never been in the Delta before. The kinship. I guess, is the flat cotton lands north and •somewhat west of Memphis, where I was raised in the "Bootheel" of southern Missouri. Even after 20 years absence, cotton, for me, holds the memory of generations. There is the still strong remembrance of getting "the worst beating ever" for slipping away from the cotton field, trying to escape the hot, tiring work — was it hoeing, or chopping, or picking cotton? We youngsters used to pray daily that it would rain so we could escape the fields. The Delta no doubt holds the same memories of people caught up in the losing struggle of "making ends meet" in times that Uncle Dave Macon sung about: " 'Leven cent cotton and forty cent meat." One of the Delta's most famous writers, the late Will Percy of Greenville, the uncle and mentor of Walker Percy, wrote in the book Lanterns on the Levee that he could "forgive" the poor whites, as the Lord forgave those who crucified him, but to admire them or love them or trust them, never. You see, he came from the planter aristocracy and the poor whites, and probably the poor blacks too, felt the same about his class. THE DELTA — land as fertile, it is said, as the valley of the Nile — is 200 miles at its greatest length and 85 miles at its greatest width. It is a leaf-shaped plain, bordered on the west by the Mississippi. and on the east by rugged hills known as the Bluff Hills. It is criss-crossed by bayous, which overflow in the spring and bring to the Delta its wealth of topsoil that makes the land among the most productive in the world. The crops are tall now, and driving up 49 you can see crop dusters flying low over the fields, releasing white misty blankets of chemicals, then pulling up steeply be-fore the power lines by the highway. They make a tight bank, drop, and release the spray again. There is an acrid taste in the air. In the distance, the trees — willow and cypress and lots of gum — seem always to stand at the edge of the horizon, marking the line between the flat earth and the sky always just beyond the wide greenish brown fields. From Yazoo City. you pass through small and larger towns, like Midnight, Silver City, Belzoni, Inverness, Sun-flower, Doddsville, Ruleville, Drew, and Parchman. The town of Midnight, it is said, was founded when a party of men stopped and camped in the swamp, and started playing poker. One of the men laid claim to the land where they were camped, and then later put it up as a bet. He lost. The winner, looking at his watch, said, "Well, boys, it's midnight, and that's what I'm going to call my town." With that hot Mississippi sun affecting you like a sleeping pill, the Delta rolls by, and you notice the signs of passing interest, like Kobweb Antiques in Paulette, and the Molasses Bucket Cafe, somewhere along 49. There was a sign that said, "This is a Vigor Profile Field." And then there's Parchman, the squat buildings strung out west of northbound 49, almost hid from view behind a low embankment by the highway. It stirs thoughts of hogfat guards in sweat-stained khakis, of sniffing blood-hounds, of desperate prisoners "with rabbit in their blood" trying to run with no place to run to. And indeed, the radio reported even as I drove by that there had been an escape that day. “The 'fifth Sunday' of months that have more than four Sabbath days is visitors' day, and it is then that Parchman is best seen. A train called the 'Midnight Special' brings the visitors to the farm, arriving about dawn and leaving at dusk. The...prisoners have made up ballads about the train, which they sing and chant while they work, waiting for the fifth Sunday. The town of Tutwiler is built around Hopson Bayou. Main Street runs east-west off Highway 49. The new bank building and City Hall, as well as the more prominent buildings on the street, face south, toward Jackson. The pigs-feet bars supported by a black clientele face north, toward Memphis. There are a lot of abandoned buildings, with jagged windows and sagging roofs, in downtown Tutwiler, including the movie theater, named for the surrounding little towns. The name was taken from Tutwiler, Rome, Vance and Sumner. It was called Tutrovansurn. A woman's club is trying to restore the old theater. but, as one woman said, "the old people are too tired and the young people are too busy being young." Other abandoned buildings were said to be owned by Mayor Vince Spinoza, whose father came to Tutwiler decades ago as a poor Italian immigrant shoemaker. The mayor's daughter, who laughed when asked if she is the "Spinoza of Main Street," is a stoic philosopher who doesn't mind that she has a college degree and yet pumps gas on Tutwiler's main drag for a living. She runs the service station, which is owned by her father, be-cause it allows her to work and at the same time care for her husband. He was both mentally and physically hurt in a car accident. As she talked, she reached over and with light fingers brushed a lock of hair on his forehead. and smiled. TUTWILER'S ONE black alderman, Pete Burnside, runs a welding shop that is located. according to a resident's directions, "past the liquor store, the colored cafe, and the old used car lot, which is the mayor's mess." Burnside's daughter, back from college, has started a newspaper in town, named the Tutwiler Whirlwind, and printed on a mimeograph machine. She charges 50 cents a copy and, said Burnside, "stirred up more interest than she ever meant to. In fact, it'll take her about 10 years to live down all that interest she stirred up." What she did was to reveal just who was dating who, and who was seen with who, on a Saturday night in Tutwiler. In the case of one married man. it led to domestic difficulties. The errant husband's wife threatened to pull out his girlfriend's hair, for starts. The town's librarian, Mrs. Charles McElroy — who is a unique librarian in the sense that she will offer you fresh-brewed coffee and send you on your way with a basket of tomatos picked from her own garden — said most of the youngsters move away to get jobs and never move back. "But now Tiffany McCoy and his wife Linda have just come back home and opened up an antique store. He has a girl's name, but nobody kids him about it. He's a big, huge guy." He runs Tiffany's of Tutwiler. Mrs. McElroy said Tutwiler "is mainly a town of old people." The state of the crops, and the weather, is Tutwiler's Dow Jones Index, as it is for the Delta at large. The town is liveliest on Saturdays, when people from the farms come in to trade and stock up for the week. an old custom that still exists. When the weather is bad, sales fall off in Tutwiler. There are no big celebrations anymore like there once was, said Mrs. McElroy, "but once a month at the Meth-odist Church (the First United) we have a family night and everybody brings a dish. One lady specializes in fried chicken, and one brings her cakes and Dr. Clay always brings sausage and biscuits." ONE OF THE reasons for coming to Tutwiler was to find out who still plays the Blues. I had the picture in a historical brochure of Lee Kizart, and it caused a sensation at a makeshift park between the railroad tracks, "where the Southern crosses the Yellow Dog." An older man sitting in his car, parked close by the benches, said, "Man, you know what that is. It's a picture. It's a picture in a book. You quit acting the fool. Your black mouth gone get you in real deep-down trouble one of these days." "Lee Kizart," said the man in the car, "is dead. I went to his funeral. It was about, oh, it was ten years ago. Yeah, it was in 1968, or maybe it was 1969. But he is buried. Dead and gone. I went to the funeral myself." "Everybody else is too busy trying to make a living," said one man in his twenties, who confided that next month he intends to move away, "maybe Memphis, or maybe all the way up to St. Louis. All you can make around here is the minimum wage, over at the picture-frame factory." Everybody in town, he went on, works at the picture-frame factory, `cepting for this old man here, and he work down at the compress." TUTWILER HAS two locally famous citizens, one a white man, Dr. T.F. Clay, and the other a black man, Tom Dumas. There was a newspaper article about Dr. Clay in the Clarksdale paper and Dumas was "written up" by a reporter from Memphis. Dr. Clay's parents came to Tutwiler, he tells in a printed version, in May, 1831 after a four-day buggy ride from Aberdeen. "Tutwiler then was nothing but virgin timber with lots of red gum trees." He was born in 1885, in a big "dog-trot" house facing Hopson Bayou. He said that W.C. 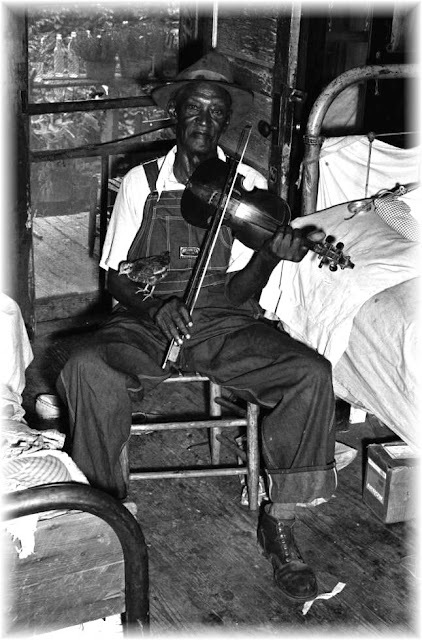 Handy played at all-night dances in Tutwiler, "and the Blues was born in the waiting room of the Tutwiler depot." But Handy wasn't playing the Blues then. It was later, after he left the Delta for Memphis, that he wrote the St. Louis Blues. "In those days every time a new store opened they would have a dance, and Handy played at many of them." 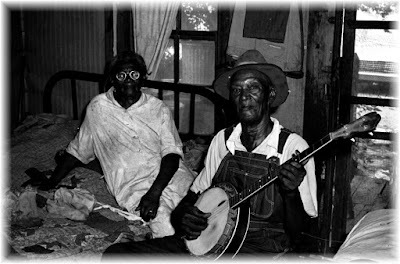 Handy in his book The Father of the Blues. said "I came to know by heart every foot of the Delta, from Clarksdale to Lambert on the Dog and Yazoo City rail-roads. I could call every flat stop, water tower and pig path on the Peavine with my eyes closed." I know the Yellow Dog district like a book, Indeed I know the route that Rider tookEv'ry crosstie, bayou, burg an' bog Way down where the Southern cross' the Dog. There is no one left in Tutwiler today who makes his living singing the Blues. In fact, it is said there is only one man in town who can be called a Blues or folk musician, who is now 96 years old and only plays for very special reasons, because, he says, his fingers are too soft. His name is Tom Dumas and he is one of Tutwiler's best known citizens. Dumas is so old that the whites of his eyes have a blue tinge around the edges. He tells about his daddy, who was born a slave. And he tells about how he picked up the fiddle one day and started to play. ". .. Done the same thing with the guitar and the jew's harp ... Tried to blow the French harp for years but never could make a tune come out of it." Dumas recently sold his fiddle, which he was told once belonged to Andrew Jackson and was given to Dumas' daddy. The label was chewed out by mice, who resided in the fiddle when it was kept under his bed, and nobody today knows for sure whether it did, indeed, belong To Andrew Jackson. Dumas sold it to a Memphis couple who paid him "with ten $20 bills, each bearing the picture of Andrew Jackson," a reporter wrote. "Somehow that seems quite appropriate." Later, Tom had second thoughts about selling the fiddle for $200, figuring he let it go too cheap, and "might could've got as much as $1,500 for it." Give it all away to see Sally Goodin. I'm afraid she'll never die. Dig the sweet potatoes and roast them in the sand. If I can't eat 'em all, save 'em for Julie Ann. Every time Cindy passed, she'd take a bite of me. The raccoon on the ground. It's been many years now. 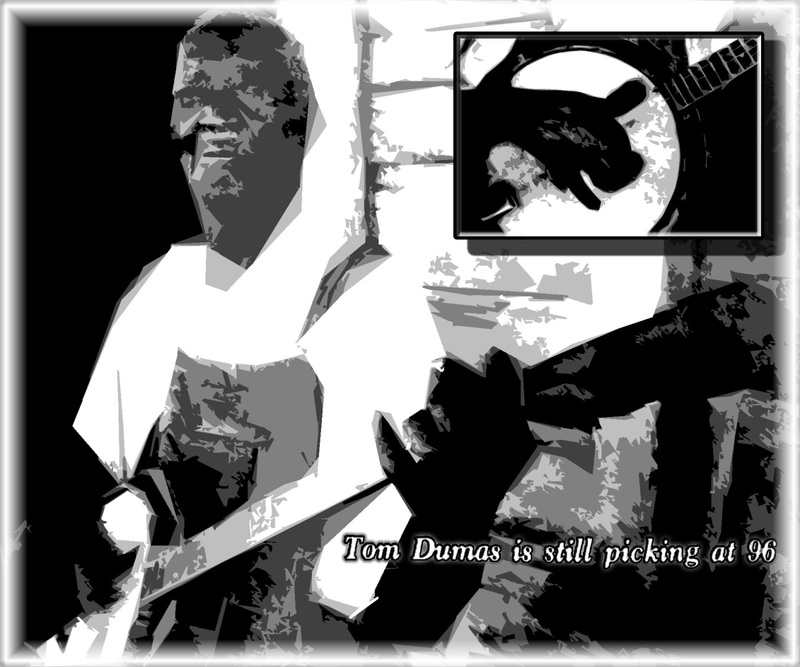 Tom Dumas reckons, since people enjoyed hearing the old songs, the folk tunes and the Blues. A few years back, he went into the joints. "Well, I'd drink a little whiskey, then I'd go tune up my fiddle and commence playing a little. They'd have the Seeburgs (jukeboxes) in there and they'd turn them on just as loud as they could — dadda-dump, dadda-dump, dadda-dump — and I'd just pick up my fiddle and go home." Things change. The Delta and its famous sons — the great people of the soil who are now mostly dead or gone away to the cities, replaced by the "Seeburg" generation who is waiting to move away — are "not like to ever see each other again." Leaving Tutwiler, I heard a screen door slam in the distance, a child crying, and watched a yard dog worrying his fleas in a timeless pantomime...and suddenly I realized it was very hot, and there was a taste of dust in my mouth. Like they say, the Delta is the Delta. Period. People who try to explain it are oblivious to all that it is, and was.